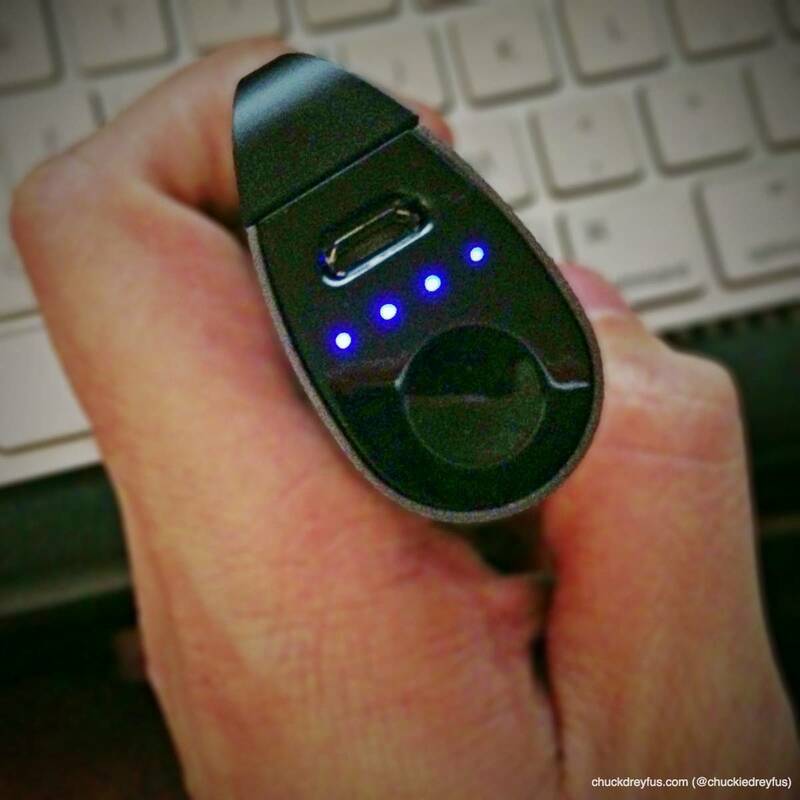 Pocket Power - The Phonesuit Flex Micro Battery Pack - All Chucked Up! 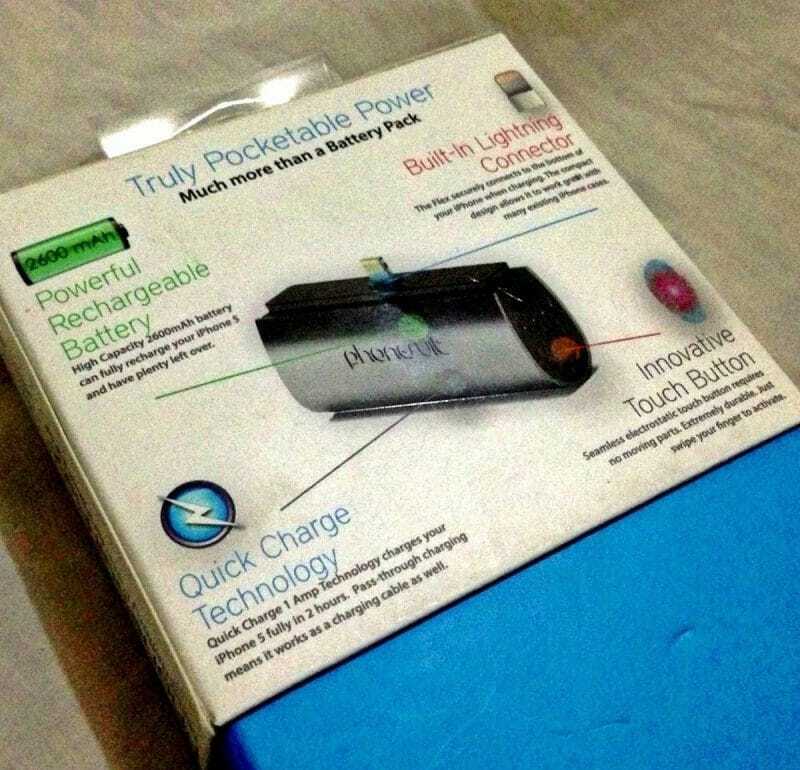 This particular power bank is being sold locally but only in select stores and as is quite difficult to find. The iOS version normally goes for around Php 2,850.00 to Php 3,100.00 depending on where you find it. But online, I found out that it only cost $57.50 in Amazon. That’s about Php 2,500.00 only. And since I’d be getting two (2) units (iOS & Android versions), I’d be saving more money than getting these devices in retail stores here. Besides, I wasn’t in a hurry to have them shipped over anyways, so, having these power banks brought over via MyShoppingBox’s super affordable shipping cost from the US seemed like the logical and most practical option. All in all, I saved a whopping Php 1,100.00. That’s a lot of savings which I could use for other future online purchases. Indeed, good things come to those who (are patient enough to) wait. Have you tried Globe’s GCash American Express Virtual Pay already? If you haven’t yet, you’re most definitely missing out on a lot and losing out on savings which you could use elsewhere. Best to signup for one and start experiencing the joys of safe and secure online shopping. 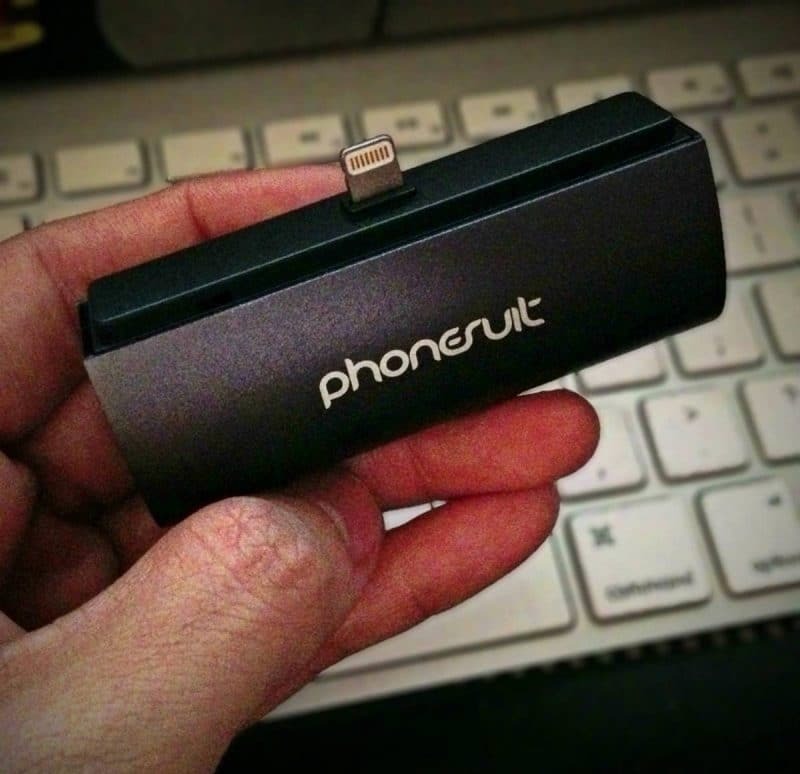 Curious to know how cool the PhoneSuit Flex is? Look no further. With the Phonesuit Flex, looks are definitely deceiving. 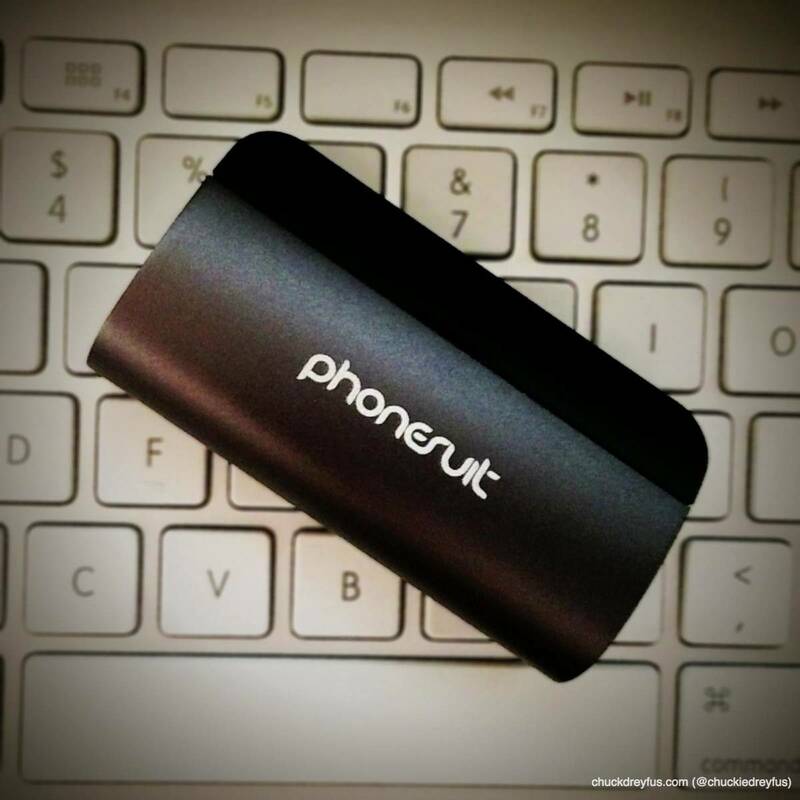 While some bigger power banks in the market have a capacity of around 1500-2200mAh, the Phonesuit Flex’s very small frame packs a walloping 2600mAh! 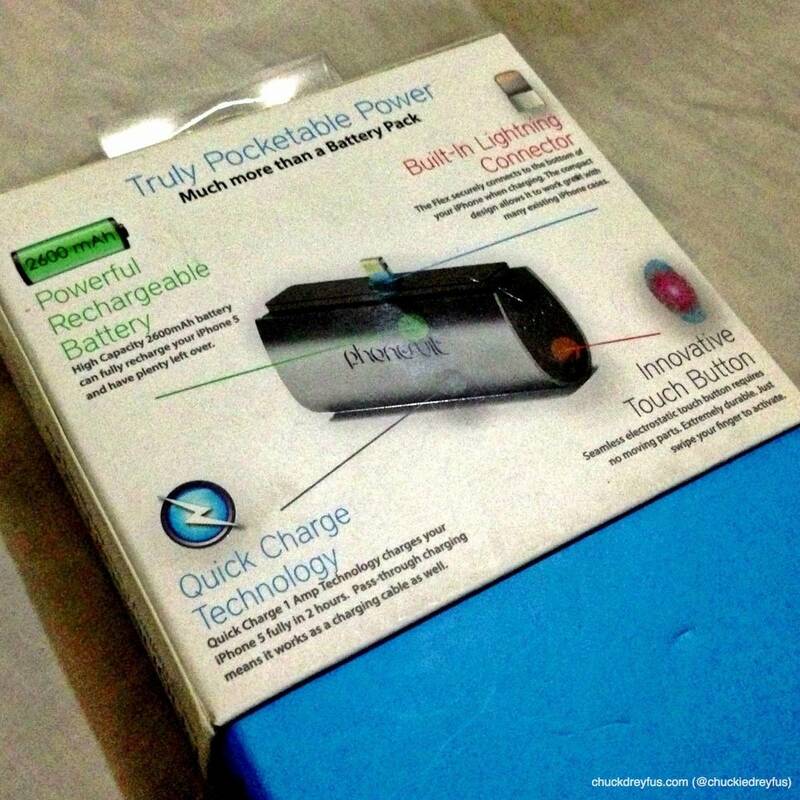 That’s an additional 125% of battery power for your smartphone without the bulk. The Phonesuit Flex isn’t limited to iPhone 5 users only. 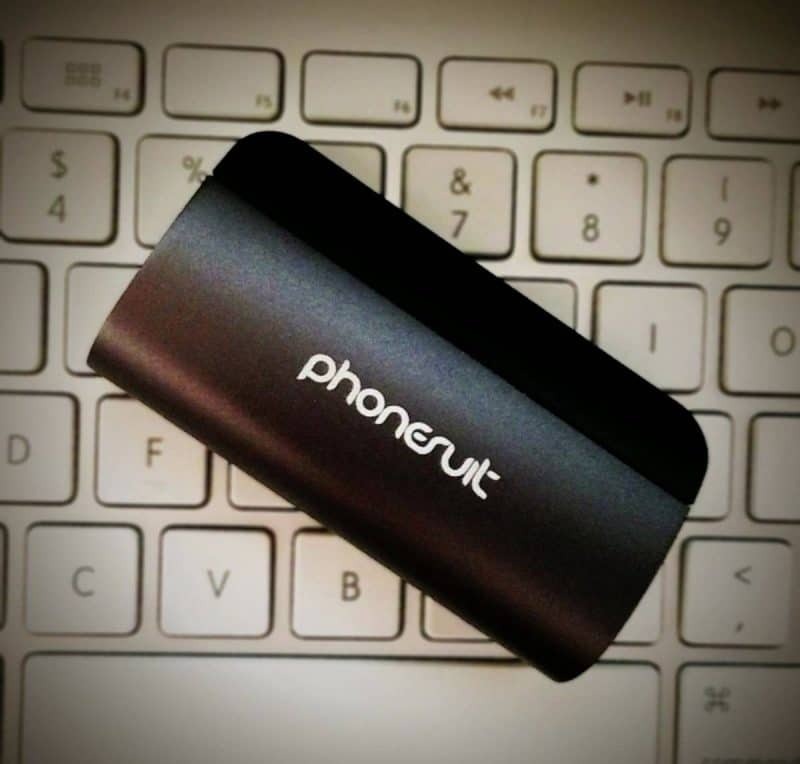 Apart from their model that sports the Lightning connector (iPhone 5), the Phonesuit Flex also comes in another version that has a MicroUSB connector for Android devices. Based on my recent test on Phonesuit Flex’s charging capabilities, it was able to charge a smartphone that had 40% power left all the way to 100% in roughly 55mins – while heavily using the same phone non-stop (accessing apps, surfing, etc). That’s pretty fast! 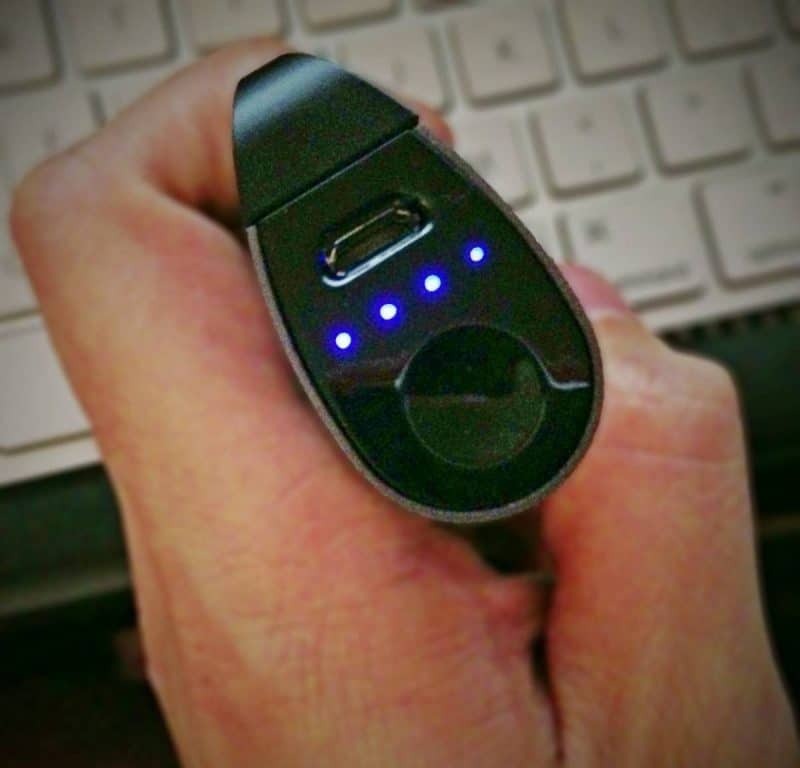 Upon checking the Phonesuit Flex Micro Battery Pack after charging the smartphone, it had 2 led lights on remaining, indicating that it still had approximately 50% power. Impressive. The Phonesuit Flex Micro Battery Pack’s very small and portable size and the way it’s designed to do away with cables is its main selling point. In my opinion, that alone is already worth the purchase. Why? Because even if you’ve already purchased a couple of power banks before, you’ll never know when you might have to travel light… really light. That is when you’ll realize how much of a lifesaver the Phonesuit Flex can be. 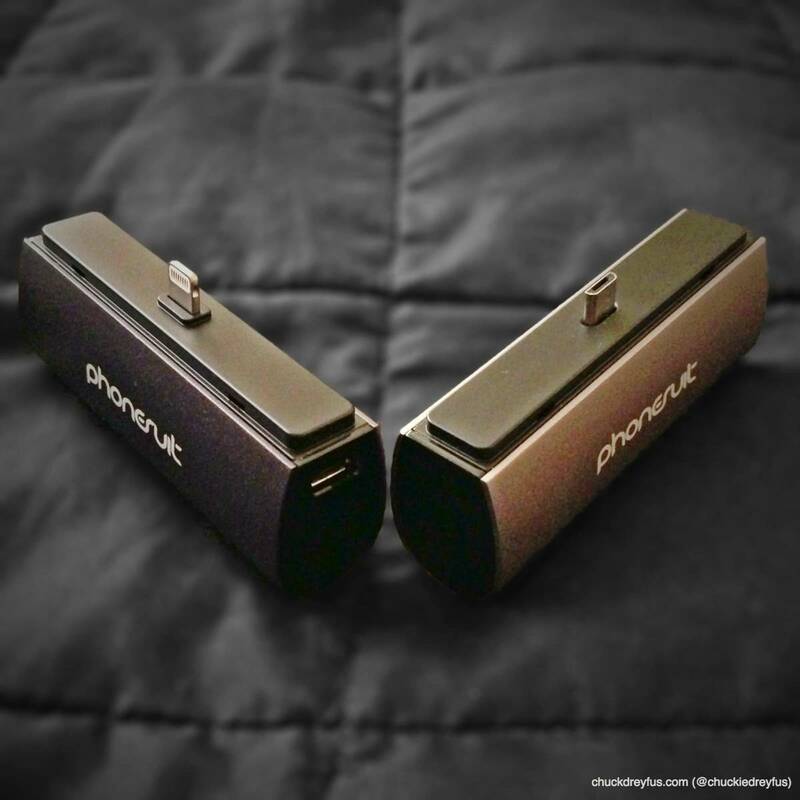 The device’s 2600mAh capacity is nothing sneeze at. 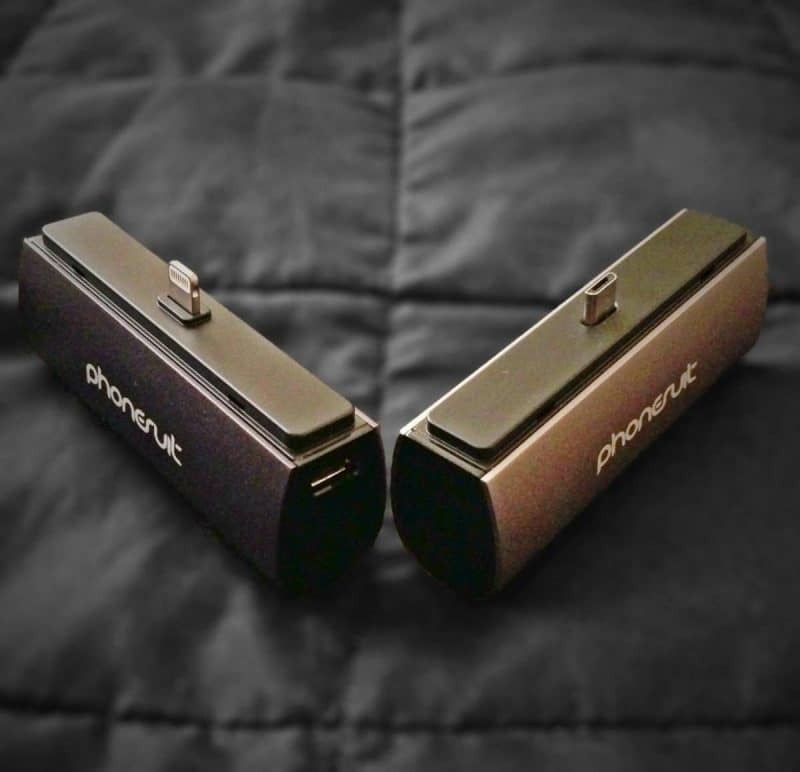 When you start bringing along the Phonesuit Flex Micro Battery Pack, you’ll begin to realize how helpful it can be. No heavy bags to bring around. No bulky casings. No cables. Easy. Uncomplicated.